Create a stunning display on your living room or hallway wall with this beautiful wall mirror. 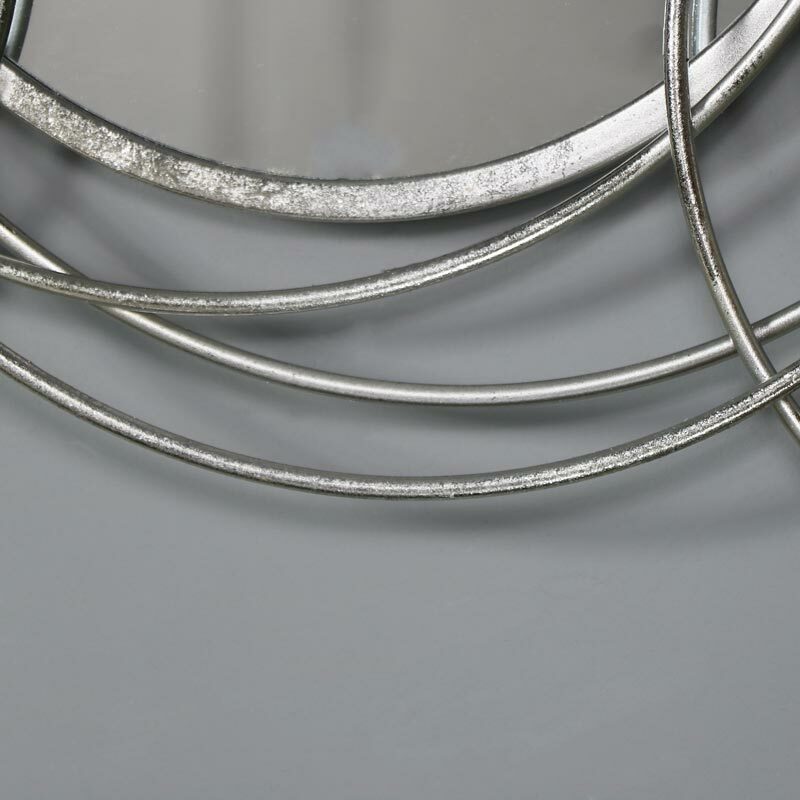 Three circular mirrors surround by elegant silver swirls. In 3 different sizes, each mirror surrounded by elegant swirls, not just a mirror but stunning wall art that will suit modern, contemporary or traditional interiors. This is the ideal mirror for making a statement and adding the 'WOW' factor to a room, a little quirky and incredibly stylish. 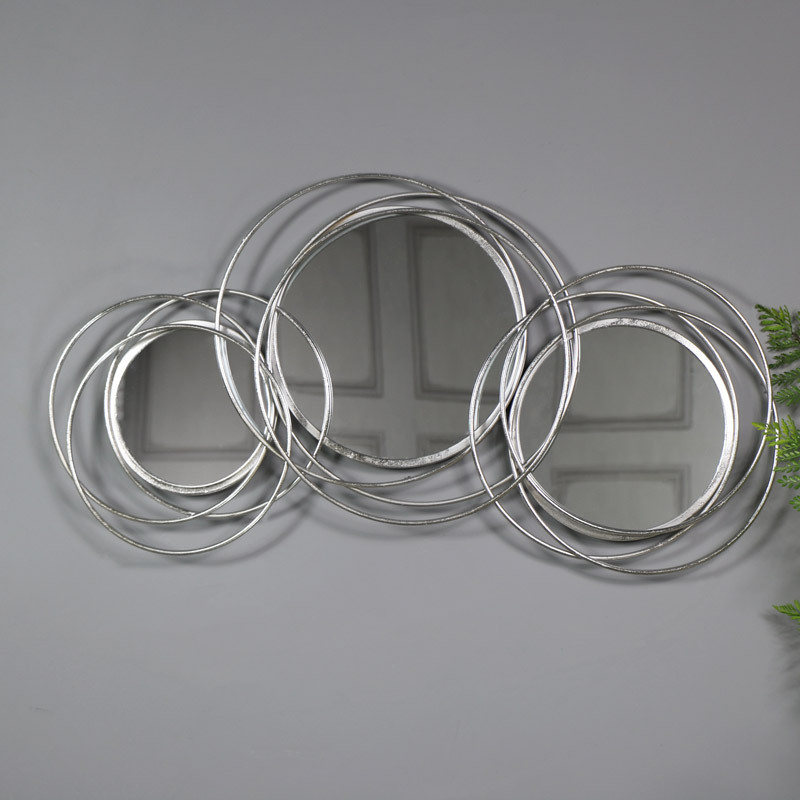 Create a stunning display on your living room or hallway wall with this beautiful wall mirror. 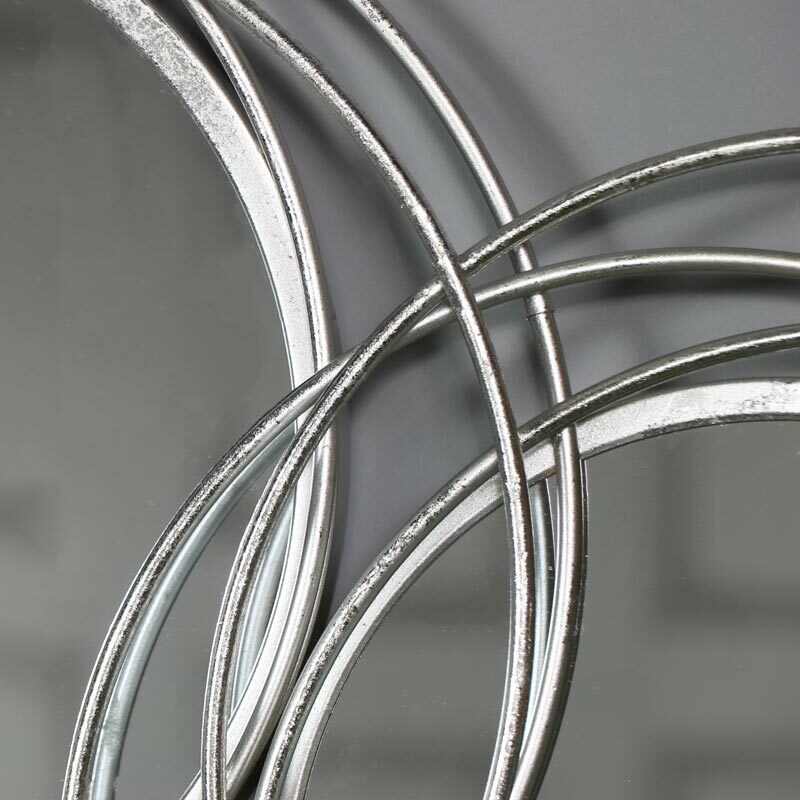 Three circular mirrors surround by elegant silver swirls. In 3 different sizes, each mirror surrounded by elegant swirls, not just a mirror but stunning wall art that will suit modern, contemporary or traditional interiors. This is the ideal mirror for making a statement and adding the 'WOW' factor to a room, a little quirky and incredibly stylish. The mirror frame is finished in an antiqued silver colour. Lightweight design that is easily wall mounted with a hook on the back. The diameter of each mirror mearues, left 18.5cm, middle 28cm and right 23cm.